Despite its geological attractiveness, a survey conducted by the Fraser Institute in 2017, to establish how mining company executives perceive investment attractiveness around the world, ranked Brazil 65th of 91 jurisdictions.6 These results can be explained in part as a result of legal uncertainty and the lack of structure of the bodies responsible for managing mining activity in the country, as well as the need to modernise industry standards. In 2017, after several years of discussion and expectation, the government launched the Brazilian Mineral Industry Revitalisation Programme, which promised to update the industry's legal framework and attract more investment. Brazil is a federal republic and its Federal Constitution considers mining as a national policy matter, which must be developed in the national interest. Therefore, the federal government has exclusive jurisdiction and power over legislation within the sector. For the same reason, the Constitution states that all mines and mineral resources are owned by the federal state (the Federation)7 and are separated from the land's ownership. Conversely, the mining right-holder owns the product from the mining, although the landowner is entitled to receive a share of it. The Federation controls the exercise of prospecting and mining operations under a system of concessions, licences, permits and authorisations in which it has the power to grant mining titles to private holders, who must be Brazilian citizens or companies incorporated under Brazilian laws, with headquarters and management offices in the country. The Constitution also deals with issues relating to environmental liabilities, mining in indigenous or bordering areas, among others. In addition to the Federal Constitution, the mining industry is mainly regulated by the Brazilian Mining Code, which dates from 1967. The government and mining companies have agreed that mining legislation needs amendments to bring it in line with the current context of the market and technological development. Opinions differ on whether the amendments should be limited to specific aspects or involve more detailed modifications. Provisional Measure No. 791/2017, which abolished the National Department of Mineral Production (DNPM) and created the National Mining Agency (ANM). Nevertheless, provisional measures in Brazil are considered as legal acts enacted by the President that necessarily concern urgent and relevant matters. Therefore, provisional measures are enacted without prior approval by the legislative bodies. However, as the name suggests, provisional measures have a limited time span and are valid for a period of 60 calendar days, which may be extended for another 60 days maximum. If the National Congress does not approve them – with or without amendments – and turn them into law within this period, they lose their effect. In this particular case, the National Congress duly approved both Provisional Measure No. 789/2017 and Provisional Measure No. 791/2017 within the deadline and turned them into Law No. 13,540/2017 and Law No. 13,575/2017, which provide for modifications to the mining royalties legal framework and the creation of the ANM, respectively. The Provisional Measure that provided for amendments to the Brazilian Mining Code was not approved within the legal period and therefore it lost its effect. As a consequence of the loss of effect of Provisional Measure No. 790/2017, the federal government issued Decree No. 9,406/2018, revoking the previous Mining Code Regulation (Decree No. 62,934/1968) and approving a new one, with substantial amendments concerning regulatory matters. Despite that, the new Mining Code Regulation shall only enter into force when the ANM is functioning, which is still pending. Law No. 7,766/1989, which provides for gold, financial assets and its tax treatment. It is important to highlight that mining activities are subject to a huge range of administrative rules, ordinances and regulations, mostly issued by the DNPM and by the Ministry of Mines and Energy, which complement mining legislation. Apart from that, specific rules regulate the exploration and exploitation of particular mineral resources, such as petroleum, gas, nuclear minerals, mineral waters and fossil substances of archaeological interest. Finally, mining activities may be significantly affected by other related legislation concerning the environment, labour rights, the acquisition of real estate properties and landholding regularisation. In general, the Ministry of Mines and Energy (MME) and the DNPM share most of the administrative competences regarding the Brazilian mining sector. The MME is a public administration body directly subordinated to the federal government. It is the highest authority in mining matters, although there is no real relationship of subordination or hierarchy between the MME's and the DNPM's agents or authorities. The Ministry represents the interests of the federal government by formulating mining policies and supervising their implementation. It is also the competent body for granting mining concessions,8 granting prior consent for assignments and transfers of mining concessions and claim-stake mines,9 and for declaring the extinction or invalidity of mining concessions and claim-stake mines subject to its competence. The ANM is a federal authority. The regulatory agency, which is associated to the MME, assumes the powers previously attributed to the DNPM, and is responsible for the management, regulation and supervision of mining activities in the country. It is also incumbent upon the ANM to implement mineral policy, to establish rules and standards for the use of mineral resources, to apply sanctions to regulated agents, to grant exploration licences and other mining titles that do not fall within the competence of the MME, among others. In addition to the powers previously attributed to the DNPM, the ANM will be responsible for declaring public utility for the purpose of establishing mineral easements or expropriation of properties, and for the promotion of competition among economic agents. The Brazilian Geological Service (CPRM), a federal authority associated to the MME, is responsible for subsidising the formulation of mineral and geological policies, cooperating with public and private entities to carry out research and studies aimed at the exploitation of mineral resources in the country, among other things. Finally, it is important to point out that the law responsible for abolishing the DNPM and creating the ANM became effective on 27 December 2017. However, the actual implementation of the ANM depends on a decree, which will define its organisational structure. Until this decree is published, the DNPM will continue to exist, which is why this chapter is still referring to it. Because they are assets that belong to the Federation, the economic exploitation of mineral resources without the corresponding authorisation constitutes a crime against economic policy, without prejudice to applicable administrative and criminal sanctions, including environmental sanctions. Mining rights are unilateral administrative acts, granted by the federal government through the DNPM/ANM or the MME, depending on their respective competencies. In spite of the recent reform, which culminated in a new edition of the Mining Code Regulation, the granting of mining rights remain unilateral, without the existence of contracts for concessions of mining rights in Brazil. There is no deadline for granting mining rights defined by law. Administrative granting processes are often time-consuming owing to the lack of DNPM/ANM and MME resources, which may be aggravated in cases when environmental permits or licences are required, since the environmental agencies in Brazil also face the same problem. According to the Mining Code, the use of mineral resources occurs through different regimes, as will be seen below, and observes the principle of priority. Thus, Brazil adopts the first come, first served principle, which determines that the first individual to apply for an area will have priority in obtaining the mining right, as long as the legal requirements are met. Thus, areas that have not yet been requested and are not subject to mining rights already granted to third parties (unrestricted areas) are subject to the priority right. In general terms, the acquisition of mineral rights can take place in a primary or secondary form. A primary acquisition takes place upon submission of an application by an individual, expressing to the DNPM/ANM his or her interest in an unrestricted area, with the consequent initiation of an administrative proceeding and subsequent granting of the mining right. Secondary acquisition concerns the assignment or transfer of an existing mining right by its owner to a third party. These acts, however, are subject to prior approval by the DNPM/ANM or the MME, depending on the type of mining right. Finally, in exceptional cases of loss or waiver of a mining right by its holder, it is possible to acquire it by means of bidding procedures (availabilities). Soil and subsoil (deposits and mineral resources) property are separated in administrative terms. Thus, while the deposits and mineral resources are owned by the Federation, the land is regarded as private property. Therefore, even if the owner of a property discovers that there are mineral resources on his property, he can only explore them and extract them if the respective mining right is granted by the state. On the other hand, the holder of a mining right may exploit the mineral resources regardless of who owns the property, although the landowner is entitled to a share of the mineral production. Access to land is regulated by private agreements between landowners and mining right-holders. In the event that it is not possible to reach an agreement, the Mining Code provides for a specific judicial proceeding to allow access to the area, guaranteeing payment of compensation to the property owner. The difficulty of negotiating with the owner to enter an area is a factor that often affects or delays the start of activities by the miner. Claim-stake mines are an exception in Brazilian mining law and result from a transition rule. According to the 1891 Federal Constitution, the ownership of land included ownership of mineral resources, allowing those owners to exploit mineral resources without the need for authorisation or concession by the Federation. However, the 1934 Federal Constitution established the current system for separation of land and mineral resources, the latter being transferred to the Federation. Thus, to safeguard the rights of those who already had consolidated legal positions, those mines that were registered during the transitional period were considered, exceptionally, as private property. In spite of this, mine manifests are also subject to the regulatory rules of the sector, preserving the peculiarities inherent in the title. The exploration permit and mining concession regime11 is a double-title system, divided into two phases, each with a different title. An exploration permit guarantees to the owner, individual or legal entity, the power and duty to carry out research work in the entitled area. The title is applicable to all mineral substances regulated by the Mining Code and is valid for one to three years. According to the new rules, which are expected to enter into force very soon, an exploration permit may be extended only once, except in cases where it is not possible to access the area to start activities or there has been a failure to obtain the necessary environmental permit or licence, provided that the title-holder proves not to have contributed to this situation. An exploration permit does not grant the holder the right to extract mineral substances. During the research work, extraction will only be allowed in exceptional circumstances, with a specific title issued by the DNPM/ANM.12 The extraction of mineral substances during the research phase, without the corresponding mining title, constitutes illegal production and subjects the agent to criminal, civil and administrative liabilities. At the end of the research stage, the holder of the mining right must present a Final Exploration Report with the results obtained from the work. In addition, during the effective term of the exploration permit, the holder is subject to a series of obligations; non-compliance with these obligations may be subject to sanctions ranging from warnings, fines and even loss of the mining right. The mining concession guarantees to the owner the power and duty to explore the deposit until it is exhausted, without a definite term, and is applicable to all mineral substances regulated by the Mining Code. The title may be acquired only by mining companies and only after undertaking the authorised exploration through an exploration permit and subsequent approval of the Final Exploration Report. One of the essential documents for requesting a mining concession is the Plan for Economic Development, which must demonstrate the technical and economic viability of the project and indicate, among other information, the method of mining, the scale of production initially planned and the mine closure plan. It is important to note that a mining concession allows the holder to extract only the substance or substances indicated in the title. Thus, if the holder verifies the occurrence of another substance and has an interest in taking advantage of it economically, the title-holder should follow the specific administrative procedure, stating the new substance in the mining title. In addition, the miner will be subject to a series of obligations, including complying with the plan and the requirements occasionally formulated by the DNPM/ANM. Failure to comply may be subject to sanctions ranging from warnings, fines and even the loss of mining rights. A mineral licence13 is applicable to specific substances, such as those for immediate use in civil construction, as provided for in Law No. 6,567/1978, and is restricted to a maximum area of 50 hectares. As a rule, this system grants the holder the right to mineral extraction regardless of previous research, owing to the nature, spatial limit and economic use of the mineral substances. Unlike the exploration permit and mining concession systems, this licensing system depends on the granting of a specific licence issued by the competent administrative authority of the municipality where the area is located. In addition, the mineral licence shall be granted only to the owner of the land or to whoever holds his or her express authorisation, except in the case of real estate belonging to the state. A small-scale mining permit14 allows the immediate use of the mineral substance, including non-compacted material, exclusively in the alluvial, elluvial and colluvial forms. Similarly to the mineral licence, the small-scale mining permit generally allows mineral exploitation without the need for previous research, taking into consideration the nature, spatial limit, location and economic use of the mineral substances included in the system. A small-scale mining permit is valid for five years and may be renewed successively. The above-mentioned mineral research and exploitation are also subject to environmental legislation. For this reason, depending on the hypothesis, it will be necessary to obtain the requisite environmental licences and permits for research or mining,15 including those related to suppression of vegetation, intervention in specially protected areas or natural cavities, among others. In addition, the Mining Code deals with two further exceptional cases. The direct public administration bodies and autonomous institutions are entitled to apply for an extraction permit. This sets up the possibility of extracting certain substances for immediate use in civil construction, exclusively for use in public works, but prohibits any sale, mining by third parties or transfer to private companies. The title is limited to a maximum area of five hectares and will be valid for up to five years, allowing a single extension. prohibition of the commercialisation of the material. In the event of non-compliance with these requirements, the work will be considered as illegal mining by the DNPM/ANM. The country's border area is considered indispensable to national security, and constitutes an internal area that is 150 kilometres wide, parallel to the terrestrial line dividing the national territory, under the terms of Law No. 6,634/1979. Therefore, any research, mining, exploration or exploitation of mineral resources in the country's border area will necessarily be dependent on prior approval by the National Security Council. The same rule applies even if the company establishes itself in such an area. the administration or management should, for the most part, be Brazilians, and they should hold the predominant administrative powers. The Federal Constitution expressly provides that the exploitation of mineral resources subjects the agent to the recovery of the damaged environment, 'according to a technical solution required by the competent public agency'. Thus, a miner in Brazil is subject to compliance with mining and environmental obligations in relation to mine closure and recovery of the area. In the case of mining concession requirements, for example, the company is required to submit a mine closure plan as well as an economic development plan. As regards the environmental aspects, the miner must present a recovery plan for the damaged area. Several bills foresee the implementation of an insurance obligation to guarantee the necessary closure of the mine. However, at present, there is no obligation to provide collateral or insurance related to the closure of a mine and the recovery of the damaged area. According to the Federal Constitution, the Federation, the states and the Federal District have legislative competence in environmental matters. In addition, it is the responsibility of municipalities to legislate on matters of local interest. Therefore, Brazilian environmental legislation has an enormous diversity of laws and administrative acts, which affect mining activity, among other things. Complementary Law No. 140/2011, which provides for administrative competence in environmental matters. In this regard, it is important to note that the legislative competence competing among the federation's environmental bodies creates different scenarios depending on the location of the mining project. Thus, the degree of complexity in obtaining an environmental licence and the associated requirements and obligations – and the time it will take to obtain the necessary environmental authorisations and licences – may vary according to the Brazilian state in which the project is located. In relation to labour laws, which provide for occupational safety and health conditions, the legislative competence is federal. Thus, there are no major discrepancies between the rules applicable to workers on projects located in different states. With regard to the rules applicable specifically to occupational health and safety in mining, we point out Regulatory Rule No. 22 – Occupational Health and Safety in Mining, issued by the Ministry of Labour and Employment, and Ordinance No. 237/2001, issued by the DNPM/ANM, which approves the Mining Regulatory Standards. Regulatory Rule No. 22 provides for the responsibilities of the employer and the employee, and deals with aspects related to the transport of people and mining materials, safety and ventilation systems in underground activities, among other things. The Mining Regulatory Standards set out provisions for the protection of workers, workplace organisation, emergency operations and the need for training. Any activities that involve environmental resources or are considered as effectively or potentially polluting, or those that may cause environmental degradation, are subject to environmental licensing. To obtain the relevant environmental licence, it may be necessary to prepare environmental studies, which may be less or more complex, depending on the case. Administrative powers concerning environmental matters are regulated by the Federal Constitution and Complementary Law No. 140/2011, which establishes that the competence for environmental licensing will depend on the predominance of the interest, which may be municipal, state or federal. As a rule, mining is licensed by state environmental agencies, but exceptionally may be licensed by the federal environmental agency (IBAMA) or by municipal environmental agencies, in accordance with the laws in force. Other permits or licences may be necessary, such as those required for intervention in preservation units (environmentally protected spaces) and natural cavities, the suppression of vegetation, among others. In the first place, it is important to highlight that the Federal Constitution does not prohibit but only sets forth specific conditions concerning the exploration of natural resources within indigenous areas. However, these conditions have not yet been implemented and, consequently, mineral activities in indigenous areas are still not possible. Despite that, the country faces a high level of illegal mining in indigenous protected areas. Mining processing and beneficiation of mined minerals are subject to a legal framework and regulations, especially the Mining Regulatory Standards. Other than that, these activities require environmental licences granted by the competent environmental body. There are no specific rules concerning the use of foreign labour in mining,18 except for those concerning activities developed in frontier areas (i.e., at least two-thirds of the workers must be Brazilians and most of the administration or management positions must be held by Brazilians, who must hold the predominant administrative powers). The Brazilian legal framework does not make a distinction between foreign and national investors, although the Profit Remittance Law19 states that foreign direct investment and certain financial transactions are subject to prior registration by the Central Bank of Brazil (BACEN). BACEN is responsible for registering any foreign capital, which shall also be registered by the receiving party in their accounting statements. In general, Brazil does not have restrictions on foreign investments. However, for national security reasons, some activities are subject to special conditions. This is the case for mining in frontier areas, and for the acquisition, rural lease or other rights over real estate properties located within frontier areas (150 kilometres), which require prior approval by the National Security Council. Finally, only Brazilians citizens or companies incorporated under Brazilian laws, with headquarters and management offices in the country, are allowed to mine in Brazil. Mining right-holders are required to pay financial compensation for mineral exploitation (CFEM), a non-tax nature charge resulting from the activity of mining and due in the event of sales, consumption, transformation or use of mineral resources. Rates vary from 1 per cent to 3.5 per cent, depending on the mineral exploited. 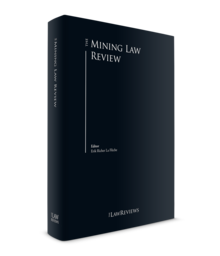 The mining royalty legal framework underwent major changes after the enactment of Law No. 13,540/2017, which changed the CFEM tax basis and rates, among other things. Pursuant to Brazilian legislation, landowners are entitled to receive various payments during mineral exploration and exploitations. In general, mining right-holders must pay revenues for the occupation and use of the area, and compensation for the damage caused to the landowner's property. 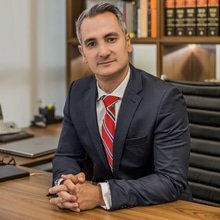 The amounts to be paid must be negotiated between the landowner and the mining right-holder and may be subject to a specific lawsuit procedure in the absence of an agreement. The landowner is also entitled to a share of the results of the mining, the value of which cannot be less than 50 per cent of the amount paid as a royalty. Therefore, a landowner's participation will vary depending on the mineral exploited. Exploration permit holders are required to pay a fixed amount per square kilometre of the titled area. The annual fee per hectare is levied annually until the final exploration report is filed and is payable either in January or July, depending on the anniversary of the exploration permit. Environmental compensation may be due, depending on the size of the business and degradation potential, the location of the titled area and its specific environmental assets. For instance, pursuant to Law No. 9,985/2000, which provides for environmentally protected areas (conservation units), in the event of environmental licensing of enterprises with significant environmental impact, the entrepreneur is obliged to spend 0.5 per cent21 of total costs provided for the business installation in order to support the deployment and maintenance of a conservation unit. Other environmental compensations may be due, depending on the scale of the project and the existence of negative impacts in especially protected areas or attributes. Recent changes relating to mining royalties generated concern within a significant portion of the sector, which was already affected by the country's political and economic instability. Nevertheless, the new Mining Code Regulation and the creation of the ANM promise to improve the state of the industry. However, considering that the new regulatory agency has not yet been established, and that new standards are expected to be introduced when it does become operational, it is not possible to clearly delimit the future of the mineral industry in Brazil in the short to medium term. Nevertheless, expectations are positive. 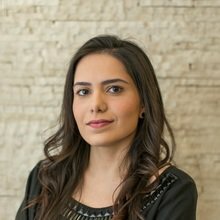 1 Alexandre Oheb Sion is a founding partner and Luiza Mello Souza is an associate attorney at Sion Advogados. 2 Available at www.mme.gov.br/web/guest/pagina-inicial/outras-noticas/-/asset_publisher/32hLrOzMKwWb/content/setor-mineral-fecha-2017-com-superavit-de-us-23-4-bi-maior-dos-ultimos-cinco-anos. Accessed on 1 August 2018. 3 Informe Mineral 2/2017, available at www.anm.gov.br/dnpm/publicacoes/serie-estatisticas-e-economia-mineral/informe-mineral/publicacoes-nacionais/informe_mineral_2_2017. Accessed on 1 August 2018. 4 World Mining Data, available at www.wmc.org.pl/sites/default/files/WMD2018.pdf, page 32. Accessed on 6 August 2018. 5 Brazilian Mineral Yearbook – main metallic commodities – 2016, available at www.anm.gov.br/dnpm/publicacoes/serie-estatisticas-e-economia-mineral/anuario-mineral/anuario-mineral-brasileiro/amb_metalicos2017. Accessed on 3 August 2018. 6 Fraser Institute Annual Survey of Mining Companies: 2017, available at https://www.fraserinstitute.org/studies/annual-survey-of-mining-companies-2017. Accessed on 6 August 2018. The Investment Attractiveness Index takes both mineral and policy perception into consideration. 7 The Brazilian Constitution expressly provides that the Federation holds the ownership of mines and mineral resources. Nevertheless, it is a matter of controversy whether it refers to a real ownership status or a sovereignty relationship. 8 Except for those under the mineral licensing regime (see Section III.ii). 10 Article 176 of the Constitution of the Federative Republic of Brazil. 11 Autorização de Pesquisa e Concessão de Lavra. 12 This title is known as a Guia de Utilização. 14 Permissão de Lavra Garimpeira. 15 Mineral exploitation will always depend on a valid environmental licence, issued by the competent environmental agency. 16 In addition, civil society participation in environmental licensing procedures and frequent prosecution involving these procedures are factors that may delay the granting of an environmental licence. 17 Article 231 also establishes that indigenous people are entitled to a share of the product of mining activities held on the lands they live. Brazil is a signatory to Convention No. 169 of the International Labour Organization, which also provides for the requirement of a public inquiry in which indigenous and local communities are represented. 18 However, it is important to note that foreigners may obtain work visas in order to work in Brazil. 20 Business transactions that result in direct or indirect transfer of rural lands are subject to the same restrictions. 21 According to Article 136, first paragraph, of Law No. 9,985/2000 and Article 31-A of Decree No. 4,340/2002.